Trying to think of something to bring to your Easter gathering? A deviled eggs platter is an appetizer that signals the start of warm weather eating to me and goes so well on Easter brunch or dinner menus. But let's face it, it's not always the prettiest looking part of the table. To fix that problem, I make a normal batch of deviled eggs and then top them with a variety of colorful toppings. I always mix horseradish into my filling and pipe the filling on with a frosting tip but also top some of the eggs with shredded beet and horseradish. It adds a nice bit of flavor and color. I also like to chop dill, chives, pickles, and green onion and sprinkle the eggs with all of the different toppings. Just a little extra effort makes what can be an overlooked dish more interesting to eat and look at. 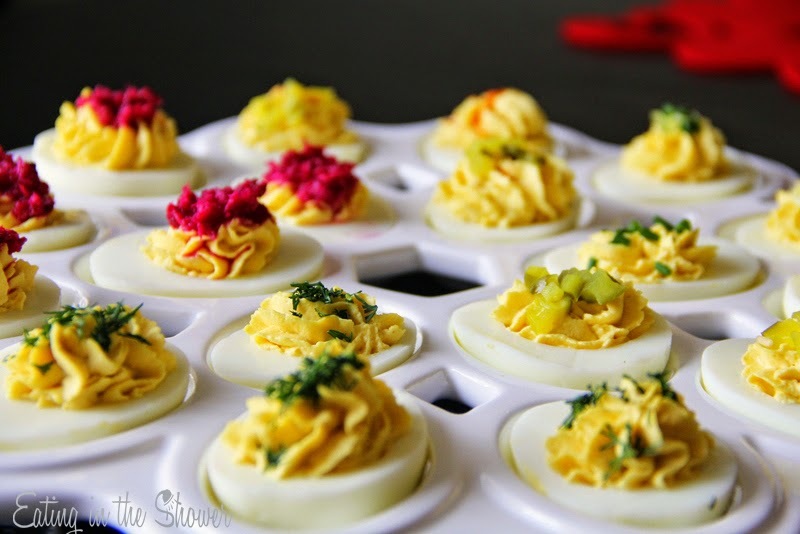 Everyone has seen the platter of deviled eggs sprinkled with paprika so next time jazz it up and bring these on your egg plate. I found this egg plate at TJ Maxx and love the honeycomb like pattern! 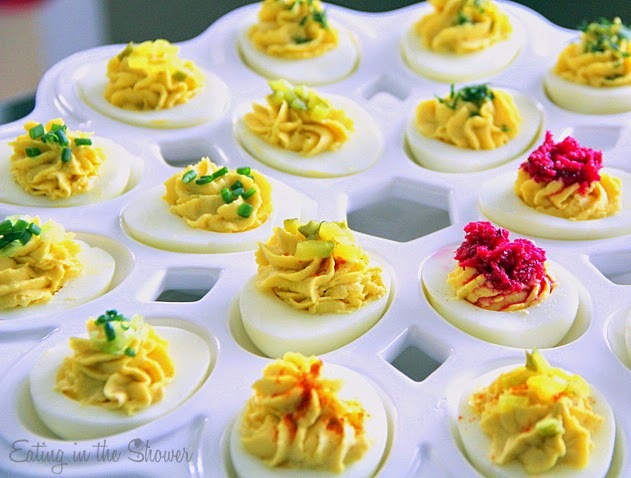 What do you like to top your deviled eggs with?